Trick or treat, smell my feet, give me something good to eat … we’ve got you covered on that last part. In fact, we’ve got all kinds of smart tricks to help you put together one heck of a spread … and a killer Halloween party. Trick #1: Whether your vibe is friendly or frightening, be frugal! Cast a spell on your house with easy, inexpensive homemade decorations. Get art camp crazy with these ideas for painted pumpkins, balloon ghosts and creepy crawly additions to your home. A trip to the dollar store should provide everything you need to get your house ready for ghouls, goblins and guests. Trick #2: For a scary-good snack spread, pair sweet with substantial. 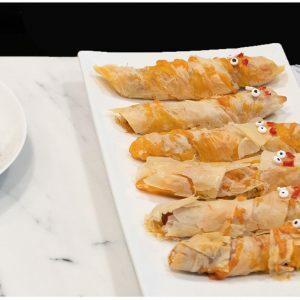 Halloween is the perfect time to let your kitchen creativity reign supreme. 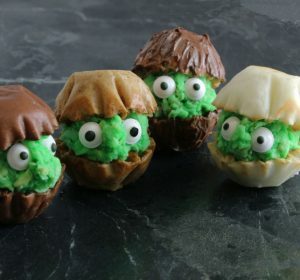 For sugary treats that will keep the party going, make boo bites, spider cannoli cups, or these impish green guys. 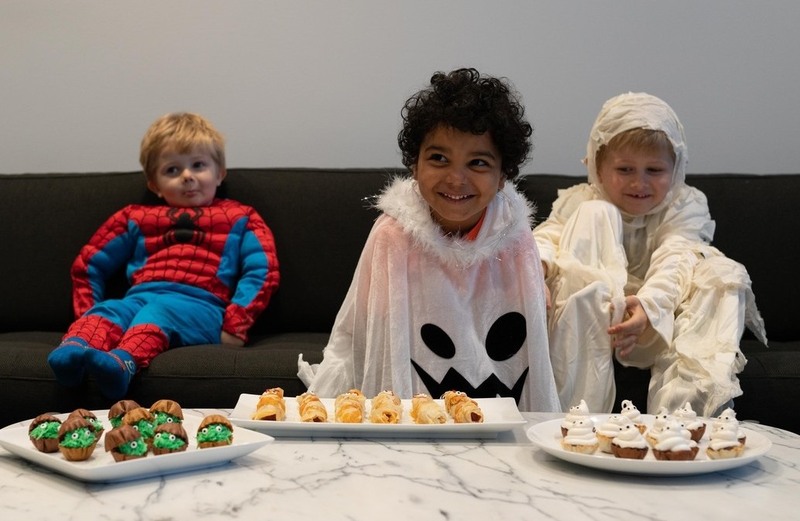 Unless you want guests to really turn into monsters, we suggest you provide a few non-sugar snacks. 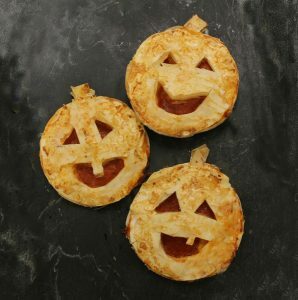 These phyllo pepperoni jack o’ lanterns and mummy franks are filling and 100% on theme. Trick #3: Don’t be shy. Guests are always asking what they can bring — tell them! Whether you could use an extra bag of ice, paper products or another appetizer to round out your snack table, let your friends know how they can help you out. Trick #4: A little goblin juice for the grown-ups doesn’t hurt. Just because it’s a kid friendly party doesn’t mean the adults can’t (responsibly) indulge. Instead of mixing cocktails by hand, stir up one big pitcher or punch bowl that older guests can pour themselves. After all, who doesn’t love a good witches’ brew? 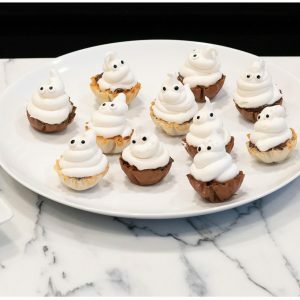 What are your best Halloween recipes? Let us know! Or, head to our Pinterest board for even more tips + recipe ideas. And to get recipe inspiration delivered straight to your inbox, sign up for our monthly newsletter.